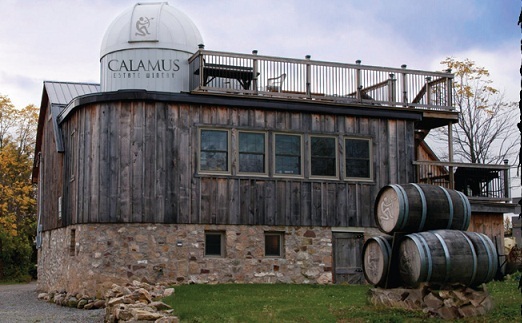 Calamus Estate Winery is located in the center of Niagara Wine County, next to the Balls Falls Conservation Region. Calamus Winery has two vineyard sites - Falls and Bartlett Creek which together make up 56 acres in area. The Calamus winery also offers specialty wines. It has a 20 acre ravine behind and close to the renowned Bruce Trail, making it a picturesque and favorite locale for outdoor wine celebrations, picnics and wine hiking in Niagara Falls.